What is it like when you work with a highly competent, skilled colleague that has little ability to connect with others? In my experience it’s frustrating and mentally draining! This soft skill of connecting with others is the art of leadership. To master this art, you must learn to connect with each person based on his or her individual, unique design and then connect with the heart. More specifically, it requires communicating and managing people differently based on their natural DNA behavior, and it gets tangible results if you can master it. Some were extroverts, and some were highly reserved. Some were very commanding, and some were more compliant. Some were highly organized, and some were very spontaneous. As a group of military warriors, we leaned toward the courageous side of the bell curve, yet there were still significant differences among us in our ability to withstand torture. In that crucible, you couldn’t hide, and had to face the enemy head-on, all alone during torture sessions. Almost everyone did their best, yet individually our resistance could vary significantly. And though there were many examples of incredible bravery, there were no John Wayne characters among us. They could break anyone and with rare exceptions, they would not let you die. So, whether it was a Vietnam prison guard or a fellow comrade in the camps, connecting with each person was a unique experience. The truth is that people are born with a wide array of talents—we’re not the same. They have also mastered the art of connecting individually to build relationships and manage differences. Typical heart-connecting actions include listening, supporting, encouraging, believing in, and almost any action to connect to the deepest needs of another person in a positive, respectful, and honoring way. They need to feel as though they are contributing to something important, and believe they’re doing something that has purpose and meaning. We want to know that we count for something. These heart level connections mentioned above communicate this type of value and lift the spirits. What is the Connecting Impact? Connecting with others energizes them with positive emotions that give hope and confidence. They empower people to perform better and work harder. In short, they enable us to produce more and better results. The old mindset of focusing only on results, without taking time to encourage the heart is a losing proposition in the long run. I challenge you to be intentional about connecting with someone’s heart by intentionally affirming them specifically about their value and what they mean to you. It’s giving while expecting nothing in return. You will be amazed at the impact. It’s worth the effort, and I hope you’ll have the courage to do it. What’s Your Results vs Relationship Balance Score? 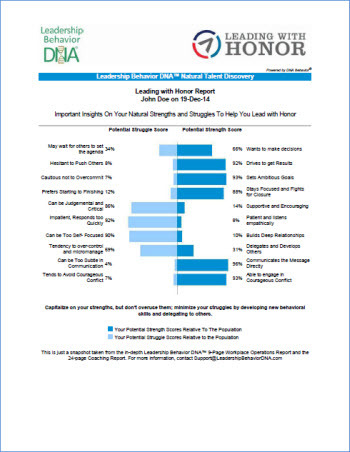 The unique, psycho-metrically validated Leadership Behavior DNA® (LBDNA) assessment process can pinpoint your exact level of results vs relationship balance as well as your natural behavioral strengths and struggles. Thousands of people every year rely on LBDNA to help them and their teams grow both personally and professionally. 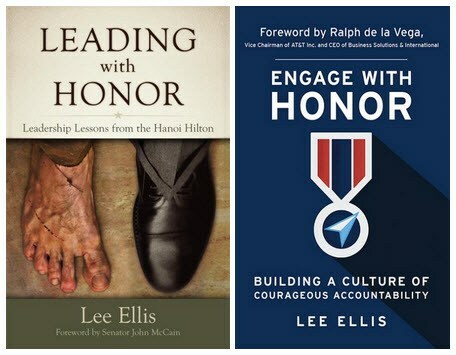 Connecting is step two in the Courageous Accountability Model™ from my book, Engage with Honor: Building a Culture of Courageous Accountability. Learn more and purchase your copy.